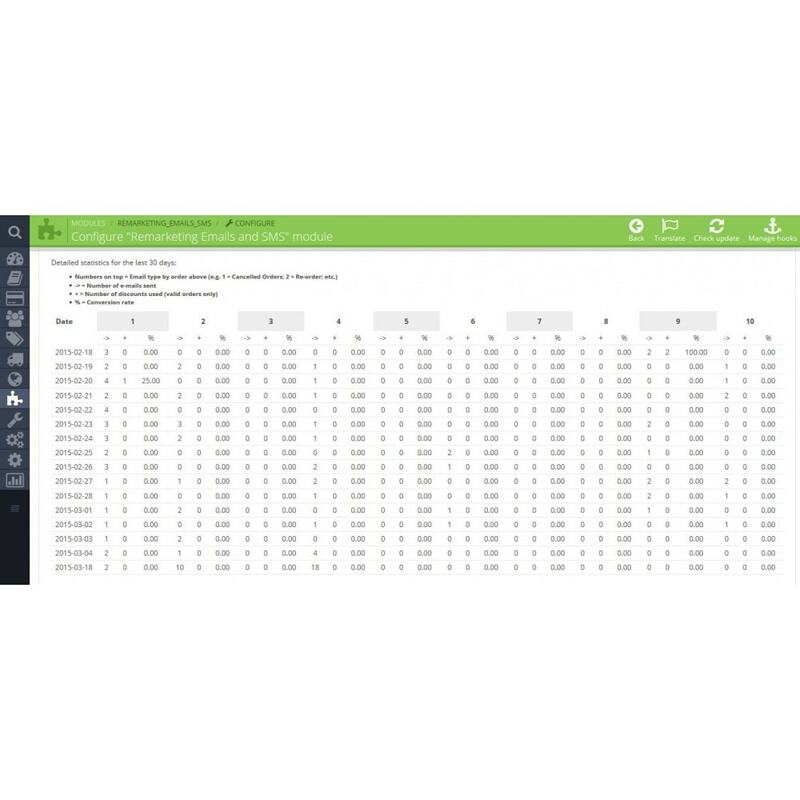 Remarketing Emails and SMS module will increase your customer retention rate as well as their satisfaction, reminding them to buy again products that they bought previously and much more. It fulfils a gap on marketing - returning buying customers. NEW OPTION: Now it's possible for you to set specific customers to receive email templates selected by you, and each time the module is executed, those customers receive that email. This means, you can manually set which customers receive which email type. Whenever someone abandon a shopping cart, you want to have the possibility to reach that person again and, eventually, offering a discount to motivate that person (lead) converting his/her abandoned cart in a sale, right? Remarketing Emails and SMS does that for you! What about those consumable products that have a certain lifetime? Or some products that you know your customers usually change every X days. Wouldn't you like to have the possibility to reach those people and say: "Hey, your product is almost ending, so just re-order with us and take this discount!". 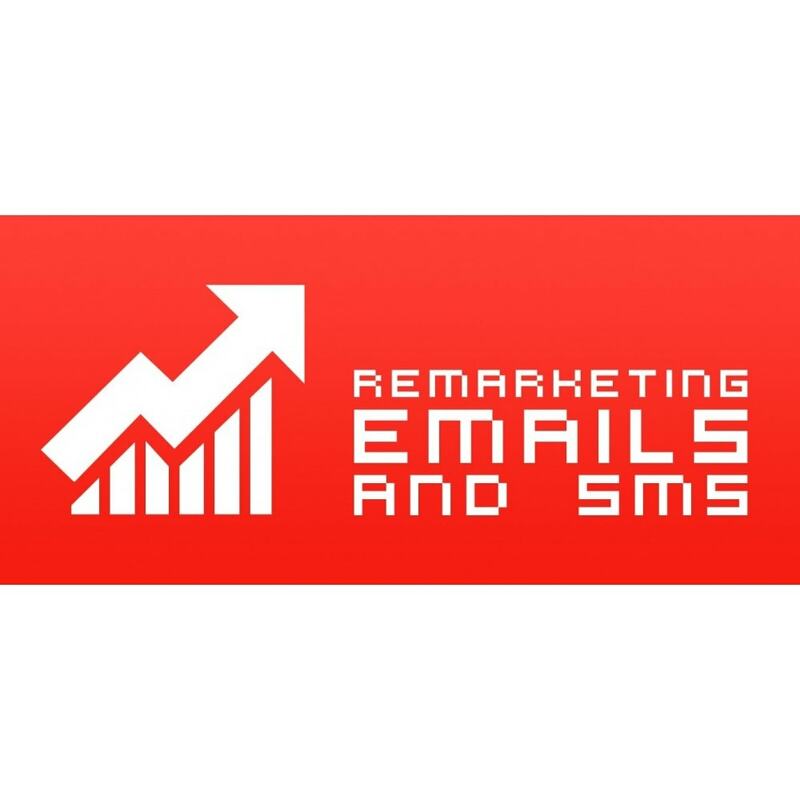 Remarketing Emails and SMS does that for you! On these emails, there is now included 6 related products! Rewarding your best customers automatically with discount offers? Remarketing Emails and SMS does that for you! Getting back customers that, for some reason, had their order cancelled? Remarketing Emails and SMS does that for you! Oh, and what about those customers that do not enter your online store for long time now? You want them to get back to you, right? Remarketing Emails and SMS does that for you! - Option to send SMS (must have a Nexmo account). 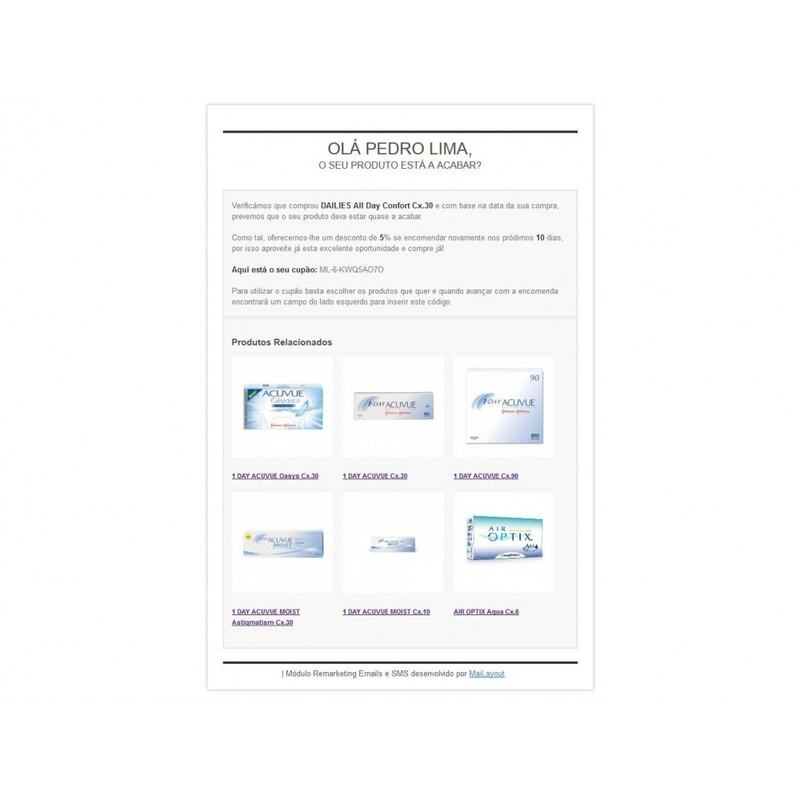 Let's say you already know that your product ID 20 expires usually in 30 days and you want to remind your customer to buy again from you that same product. You can put that product in module options and release the reminder, for instance, 25 days after customer purchase. This is a very simple, powerful and MUST HAVE module because not only increases our customers return rate but also offers customers a very friendly and not invasive way to offer them nice discounts which they like and appreciate. Great module and great support. Thanks to this module my clients can automatically get back at their customers (after X days without placing an order, abandoned or cancelled carts, etc). On the technical side it's straightforward to install. The developer replies incredibly fast and is of great help if needed. I'll probably implement this module for all my clients' shops. Many thanks. 7 - After this, module is installed and you just need to activate it, if it's not yet activated.